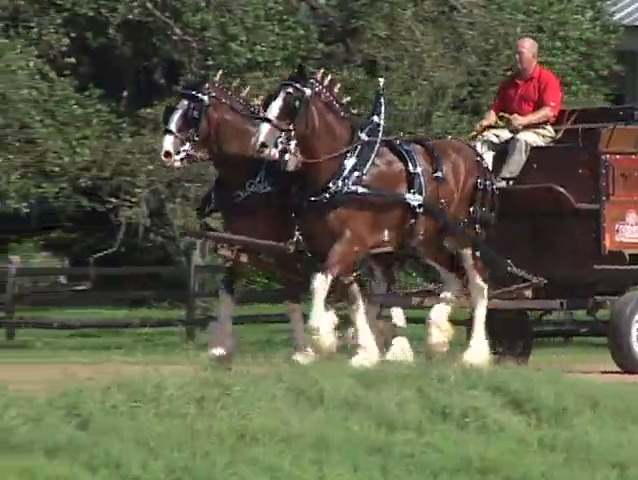 It started as a pair of Clydesdales as a birthday present and has evolved into one of the largest Clydesdales operation in North America. 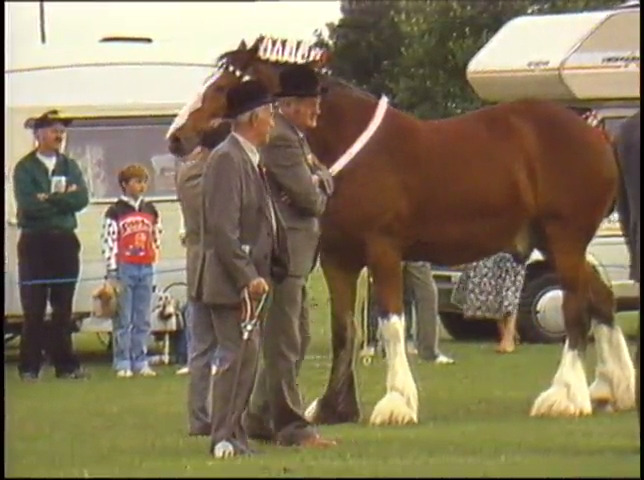 THE PERCHERON WORLD CONGRESS, ALL 80 PLUS CLASSES AND HISTORY ARE ON DISPLAY IN PART ONE OF A FOUR HOUR PRODUCTION. 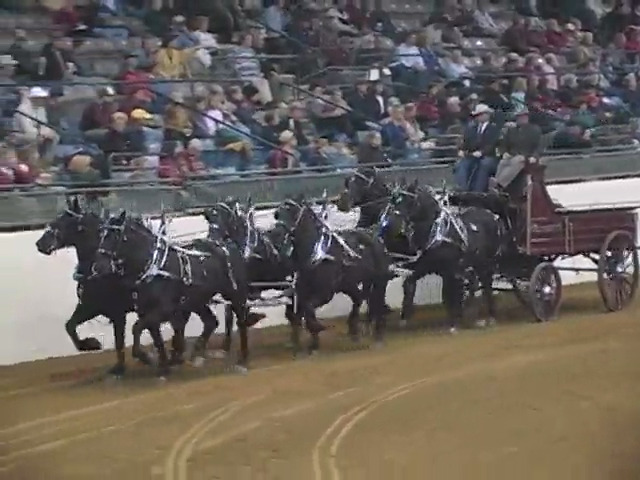 PART TWO OF THE WORLD PERCHERON CONGRESS FROM LEXINGTON, VIRGINIA. 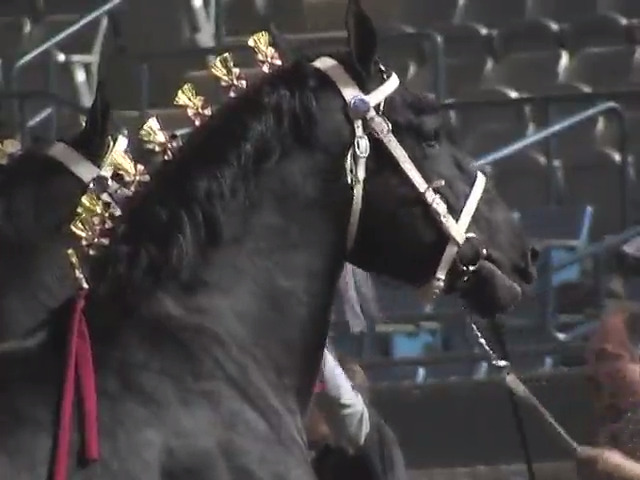 You'll thrill to these ambassadors for Priefert Manufacturing, a magnificent 6 horse Percheron hitch that thrills audiences all over North America. Travel back in time by wagon train and trail horses and imagine the early homesteaders settling into newly discovered lands on the Lewis & Clark Trail. 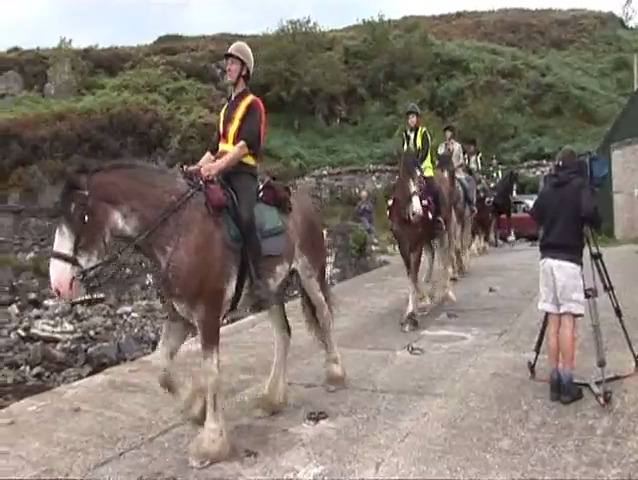 AN AMAZING STORY OF THE GREAT CLYDESDALE MIGRATION FROM THE ISLE OF SKYE TO THE CAMBRIA LAKES DISTRICT. 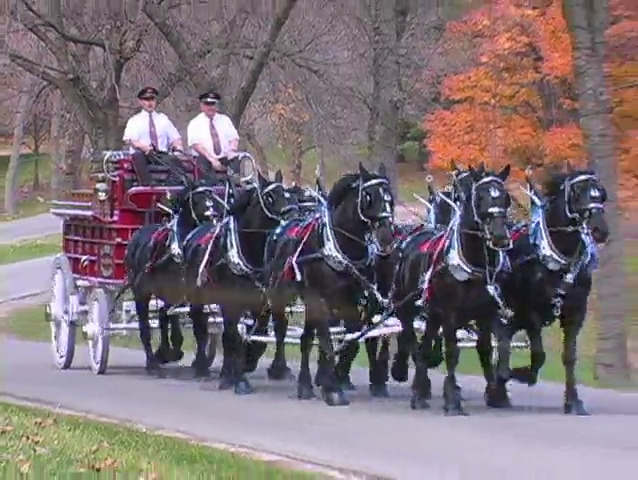 Traveling 52,000 miles each year The Heinz Percheron Hitch offers the public a "living history lesson."